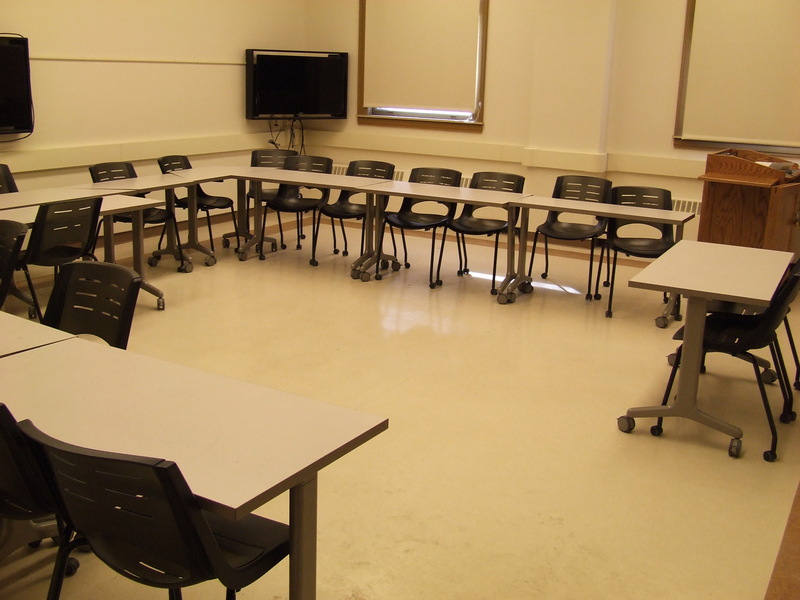 This is a flexible, collaborative classroom with three large LCD monitors for student work and a main instructor LCD projector. Laptops (not provided) are required at each station. 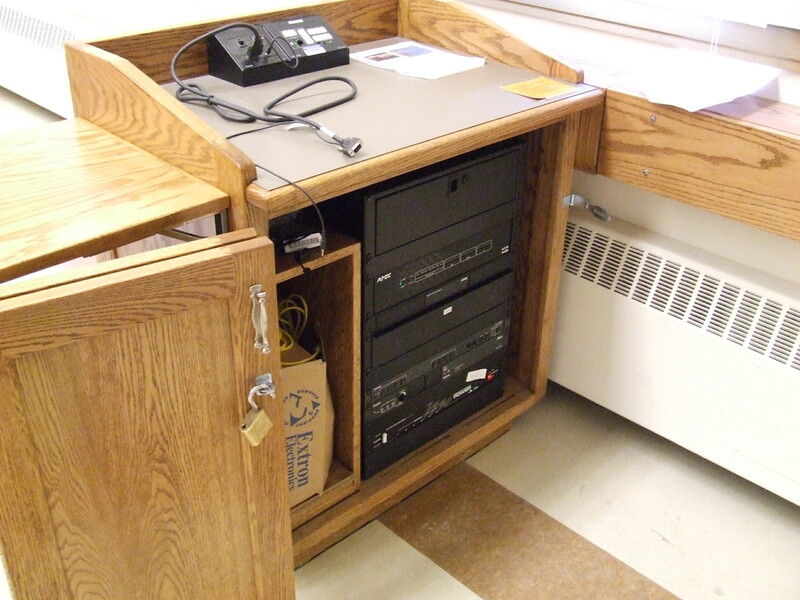 A view of the open cabinet with VGA input, a push button controller, and audio visual rack.